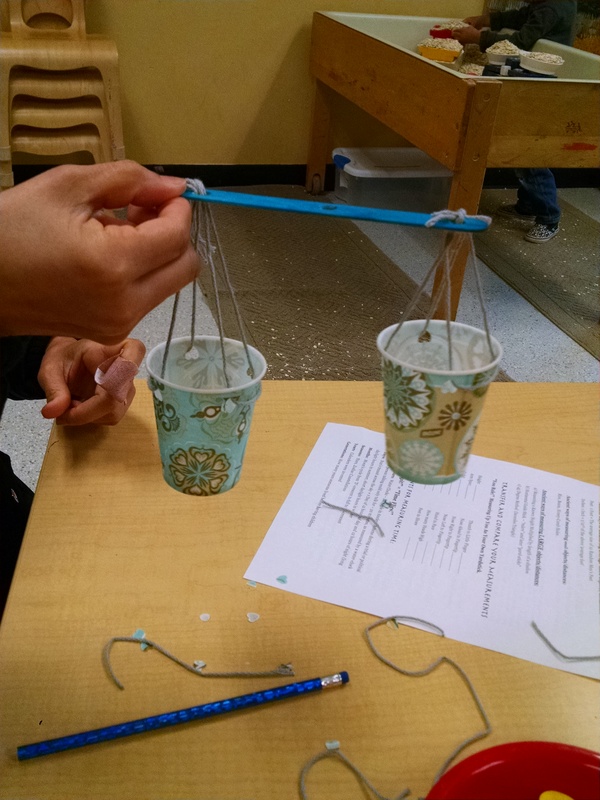 We studied Measurement in this week’s Inventor’s Lab. This is definitely a topic where the kids’ developmental levels and previous knowledge has a big impact on how much they understand and will remember from the lessons. We tried to find activities that were enjoyable for all ages, knowing that there would be these different take-aways at each age level. At the bottom of this post, I will address these developmental concepts, but first, let’s look at what activities we did. We did this unit in the fall. 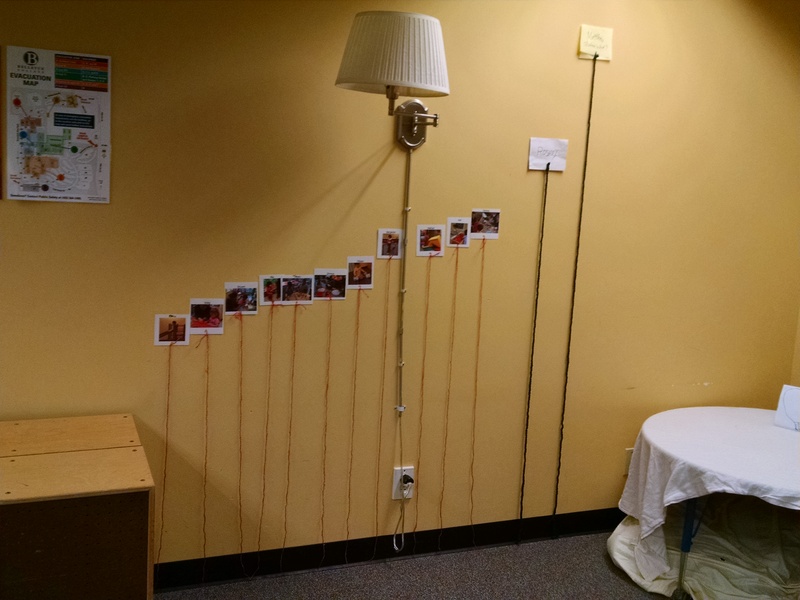 We saved the photos/strings till spring, and in the last week of class hung them up again so kids could see if they had grown during the year. How big are you? We had the kids lay down on paper, and traced around them. 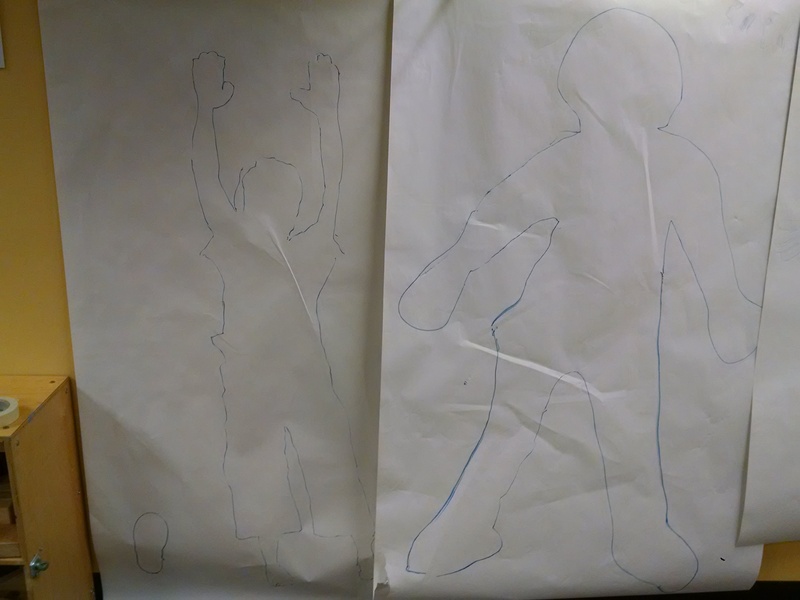 They had the option to decorate their pictures as much as they wanted to, and also had a worksheet where they could measure and write on their drawing: how tall they are, how long is their arm, how long are their legs, how big around is their head, and so on. How far can you jump? We taped two pieces of canvas to the floor. 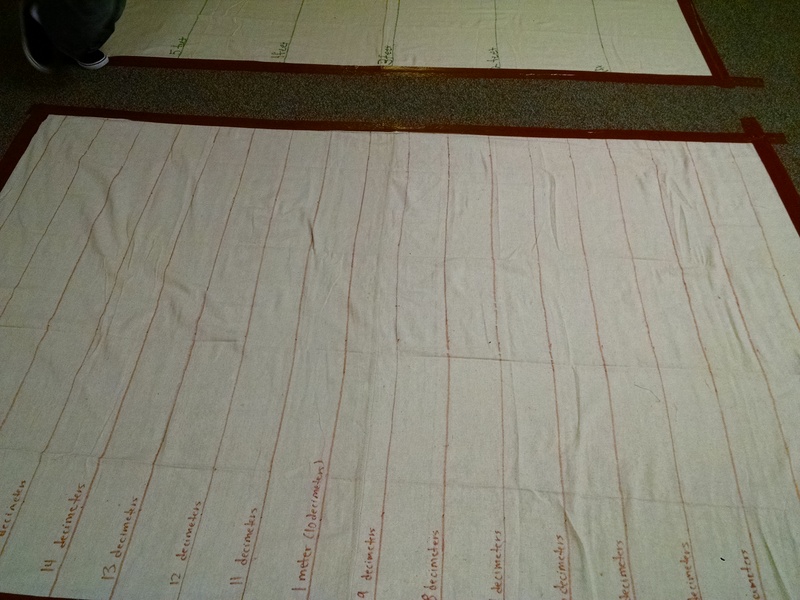 On one we marked off feet, on the other we marked off decimeters (tenth of a meter/ten centimeters). They could jump and measure how far they jumped on either scale. They could also lay down on them and reach their hands way up for how high they can reach. They could also pace out the length of the canvas by walking from heel to toe, heel to toe. They would see that the canvas that was 6 feet long according to the ruler might be 12 kid-feet long. How much do you weigh? We had each child weigh themselves. For older kids, they could create a chart to compare their weights. How much do these objects weigh? We had three scales out, with dominos, plastic teddy bears, and large plastic jungle animals to weigh. Even the youngest could grasp that the more of one kind of items on the scale, the bigger the number for the weight. 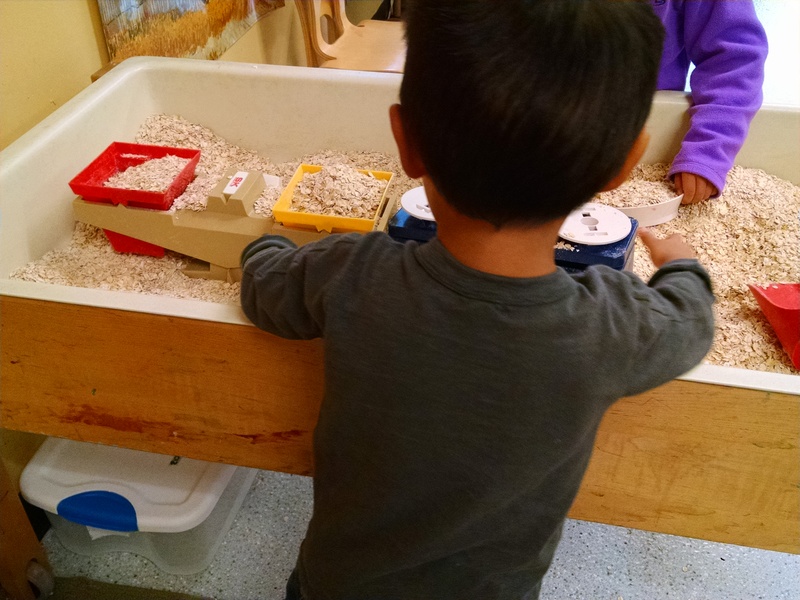 In the sensory table, we had oatmeal, and scoops, and two balance scales, so they could see that if they filled them both with the same amount of oatmeal, the weight would balance. Water table: volume measurement. We put in a number of measuring cups, spoons, and containers, so they could see how many quarter cups make a cup and so on. I would love to have some tall graduated cylinders so they could see how different “one cup” looks depending on what shape of container it’s in. Play-dough making: Each of the kids made their own play-dough (we used a half of this recipe per child: http://theimaginationtree.com/2012/04/best-ever-no-cook-play-dough-recipe.html) For the older kids, this was an exercise in reading and following a recipe and in precise measurement of volumes. 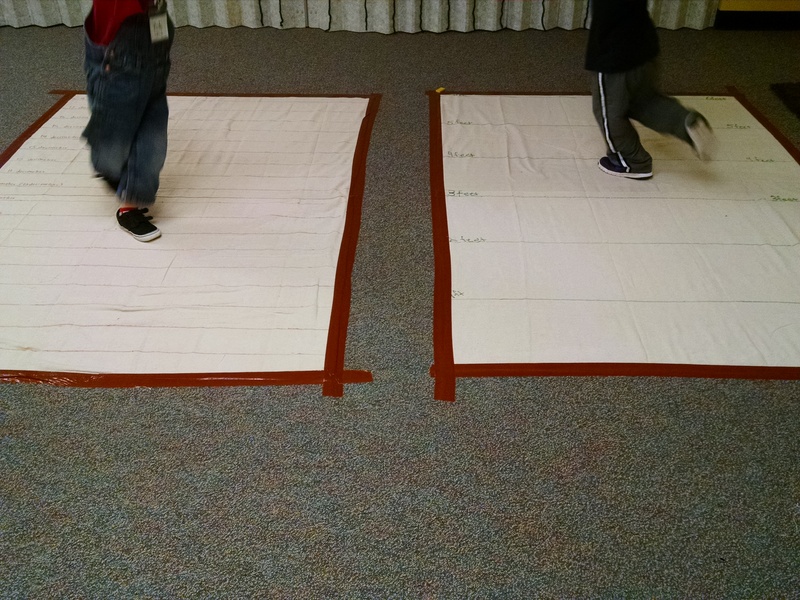 For the middle-size kids, it was a good experience in following our directions and practicing measuring. 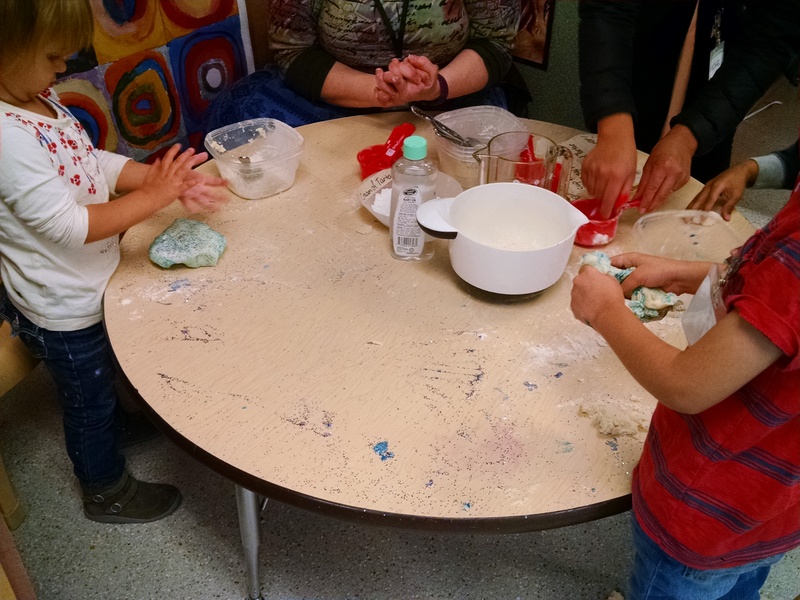 For the little kids, they helped with measuring where they could and had a great time kneading their doughs. Time measurement. We didn’t get into this at all, but some ideas we had were: take an Hourglass Timer. Have the child use a stopwatch (or phone app) to test how long it takes for all the sand to run from one side to the other. Does it always take the same amount of time? If you had them test a one-minute timer, then give them one you know takes three minutes to run sand through. Have them turn both over at the same time, and then keep turning the one-minute as it runs out to learn how many minutes the other timer is. Set a timer for one minute and have them see how many times they can jump (or clap, or whatever) in one minute. 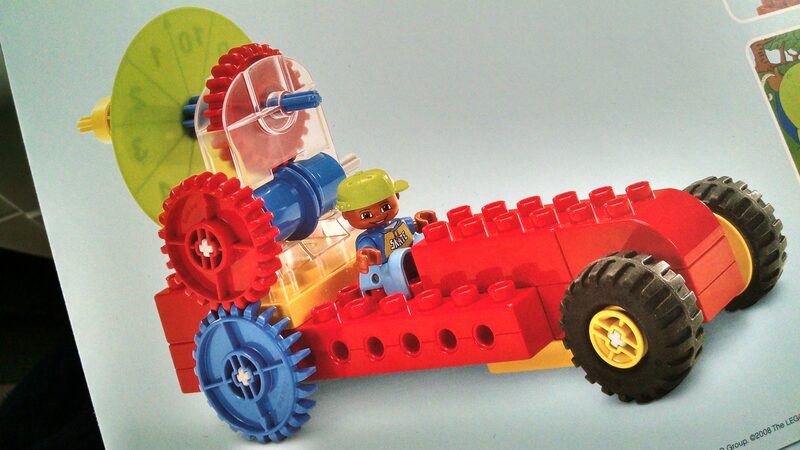 Have a stopwatch, and test how long it takes them to make one loop on the path riding a tricycle. Super Sand Castle Saturday by Murphy. Age 4 or 5 to 7. Three kids are in a sand castle competition to see who can build the tallest castle, the deepest moat, and the longest wall. They measure the castles with their shovels, but the shovels are different lengths, so the one that’s 3 shovels tall is really about the same height as the one that’s 2 other-shovels tall. They measure the moats with spoons, and the walls with feet / paces. All inaccurate measurements. Then judge for competition uses tape measure to measure each. Engaging story (for older kids) and pictures, and illustrates both how to measure and why standardization matters. Millions to Measure by Schwartz. Talks about history of measurement: how if one person measured how many feet (paces) from one place to another, they might come up with a different answer than someone with bigger or smaller feet. Then talks about standardized measurements. It’s a good book for 6 or 7-year-olds, but just too long and complex for our circle time purposes. Mighty Maddie by Murphy. For kindergarten age. Story line talks about Maddie cleaning her room, and noticing that some things are heavy and some things are light. Semi-engaging story, good illustrations. But there wasn’t as much focus on measurement as I wanted. If I was teaching a class just on weight, it would be a better option. The Long and Short of It by Nathan and McCourt. Compares things to other things. I like the idea, but don’t like the execution, because the items it compares with are too obscure and abstract. Saying an orangutan has fingers as long as hot dogs makes sense. But saying a giant panda’s fingers are shorter than yo-yos is just odd. So is “Could you fit an aardvark’s snout in your lunch box? … a pig’s snout would fit. It’s shorter than your thermos.” And a “chameleon’s tongue is … longer than a fire hydrant.” Who lays a hydrant on its side as a measurement device? Great illustrations, and probably engaging to read, but I just don’t like it. For Good Measure by Robbins. Best for 8 to 10-year-olds, I think… The pictures are beautiful to adults – not sure whether or not they would appeal to kids. Covers things like miles, furlongs, rods, leagues, acres, sections, fluid ounce, bushel, peck, etc. Great discussion of all the units of measurement, but far beyond our age group. Another good option would be Inch by Inch by Lionni, which I describe in my post from our Bugs theme. Video: Sid the Science Kid 104 – the Whale Episode is all about measuring. Elmo talks about how to measure how tall he is. Peep and the Big Wide World talks about measuring. Podcast: Sparkle Stories did an story called “Measuring the World” (Episode 205, dated Feb 22, 2017 – you can listen at the link above, or I download it via BeyondPod) that was all about two five year old girls measuring rocks, plants, animals and each other. They learn a lot about measurement, they also learn that some things stay the same every time you measure them vs. others may grow over time, they learn that some things are harder to measure than others. It’s a nice listen for a 30 minute car ride. 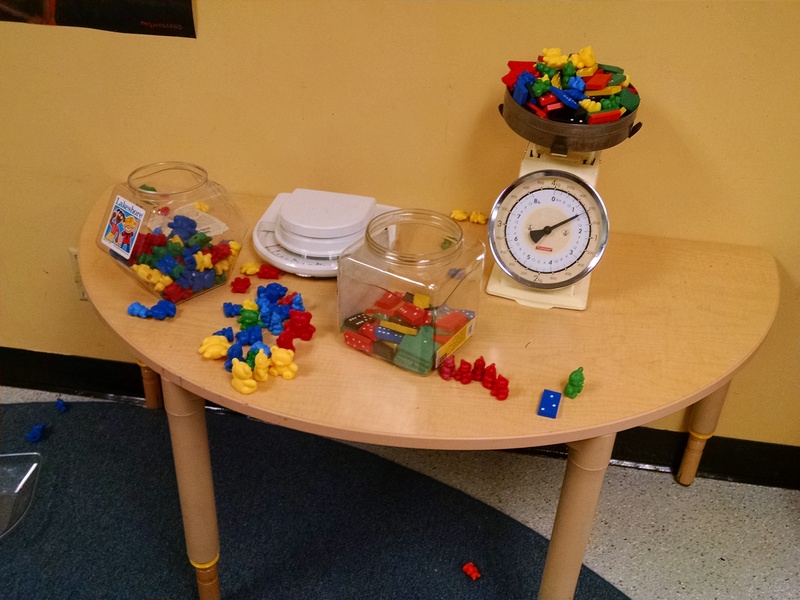 Preschool level: We can introduce ways to measure things. Can use rulers and tape measures and scales, and such. But can also use non-standard measurements… like trace the child’s footprint and see how many of their feet tall something is. Note: we’re just playing with these ideas now – they’re not likely to really truly understand yet. Kindergarten/first grade: We can start talking about all the different ways to measure things. We can also talk about measurement standards and why they exist. Directly compare two objects with a measurable attribute in common, to see which object has “more of”/”less of” the attribute, and describe the difference. For example, directly compare the heights of two children and describe one child as taller/shorter.